A GAL NEEDS...: What My Weekend Is Looking Like So Far! What My Weekend Is Looking Like So Far! Friday morning was spent working on posts and doing some housework. No biggie. Then I got a text from one of the ladies I visit teach. "Are you coming today?" 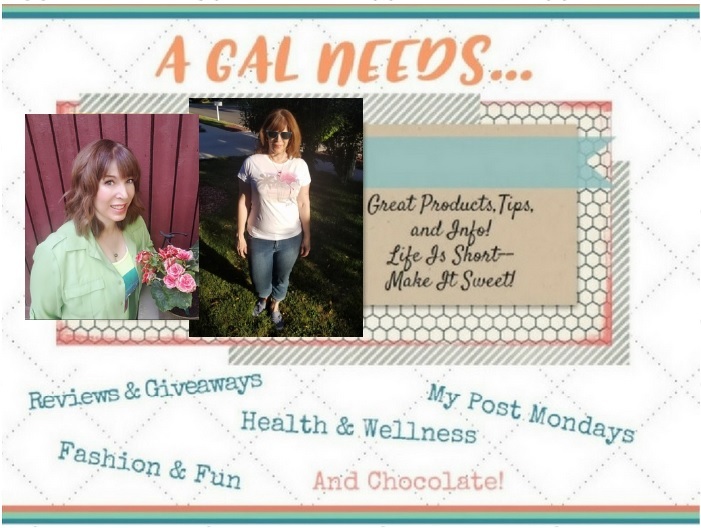 Each month I pay a short visit to 3 gal pals in my area that are assigned to me by my church. It's called Visiting Teaching. I'm LDS and it's part of how we keep track of each other and make sure that things are OK with them. Sometimes they are just token visits, catching up and chatting, but other times they can really make a difference, especially if someone is ill or having difficulties meeting some kind of responsibility. Sometimes it's just needing someone to talk with. We usually go in twos. Anyway, I had been texting the women earlier this week, trying to juggle which days would work between me, my visting companion, and the 3 ladies. I reached one first and she said Friday at 11:00. OK, great. Then it turns out that everyone else was busy this week but next Thursday was good for the rest of them and I forgot that I hadn't told the first lady that next week would be better. I really blew it. It's called, 'Thinking You Have Communicated Something and Realize You're The Only One In Your Crazy Loop.' I honestly thought I had told her. I called and apologized profusely but she wasn't too happy with me. I hope she'll get over it by next month. Just like Friday, my Saturday had some good and bad points to it. G. decided to go play some disc golf with his friends up at Solitude. They were gone for about 6 hours. I went on a bike ride up the canyon, which is always great and then took some time to watch some t.v. afterward. It was a show about Desert Runners, amateur runners who decide they want to run hundreds of kilometers in a desert and some decide to do all 4 desert runs in a year so they are called the Ultramarathon or Ultra runners. How humans can run miles and miles in these extreme conditions is mind boggling. It was a documentary that took us through the 4 races, chosen specifically for their harsh conditions. The race organizers have strategically chosen these four deserts because they are (respectively) the driest, windiest, hottest and coldest places on Earth. It's not child's play, as I found out watching the show. Some very extreme things happen and the thing is, it's all true. I really enjoy watching documentaries. Tomorrow looks like it's going to be a great day with great weather. And I'm excited. 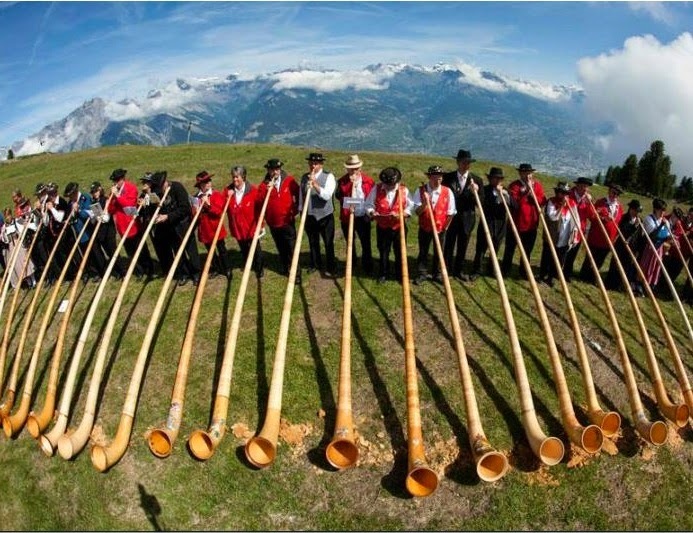 We will be going to the 7th Annual Alphorn Festival at Solitude. The Alphorn is the national instrument of Switzerland. It has been going since Wednesday, and tomorrow will be the culmination, with a live concert that is free to the public. The best Alphornists(?) in the world will be playing! I'll take pictures and put some on Instagram! Here is what Alphorns look like! Anything interesting going on for you this weekend? Ah weekends are supposed to be relaxing but I sometimes use them to catch up and it gets crazy too. Sounds like an eventful weekend for sure. I have mixed feelings about watching this movie. I've heard many great reviews about it though! Crystal, did you go see the movie? I would be curious as to what those mixed feelings were! The plot was less than believable for me, but it didn't matter because of how it made me feel! I love a feel-good movie now and then! My weekend is a mud race with my 14 year old son. I don't like getting dirty so it will be hard for me. Wow, it sounds like you've had a busy weekend. I am familiar with visiting teaching because myy ex-husband's family was LDS so I understand how that is. Hopefully the woman will get over it and forgive you, but you never know with some people. I've never seen that movie, but I'm not a huge movie fan, and I prefer to watch them at home so if I watch it at all, it won't be til it's on DVD. My ex-sister-in-law used to make really really good zucchini bread, but I don't think we ever tried it with nuts. That sounds good. Never tried the parmesan zucchini sticks either. That sounds interesting. Weekends are crazy around here too. Long gone are the days where the weekend was for lounging around the house!